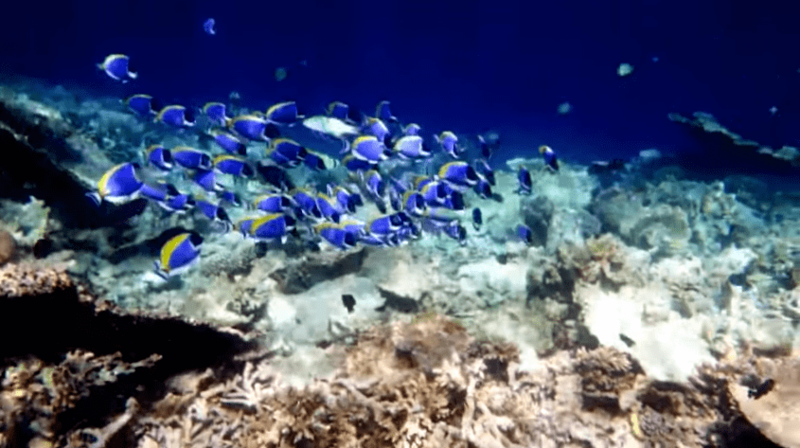 Maldives have about 2500 reefs of which nearly 900 are house reefs. 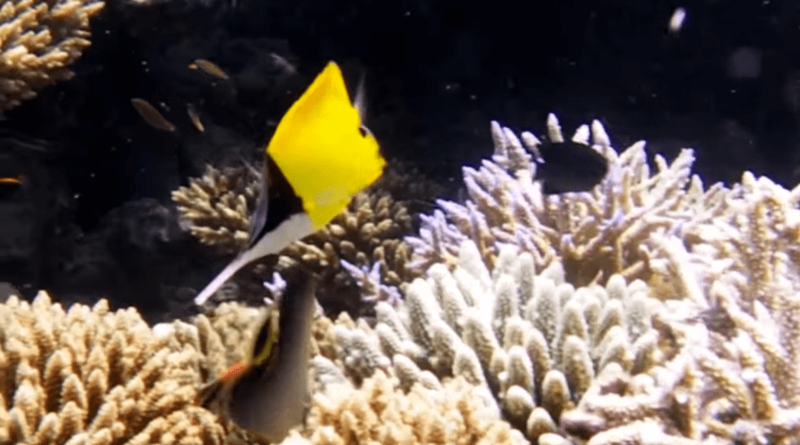 In this post, I am going to reveal 10 best house reefs for snorkeling. This top 10 is based on our personal experience. 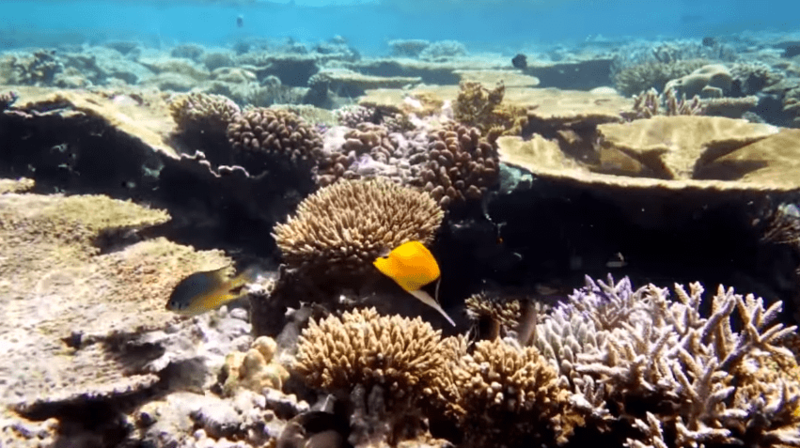 There is always room to speculate on this topic, but if you had explored numerous reefs I think you would agree with me that these are some of the best house reefs in the Maldives. 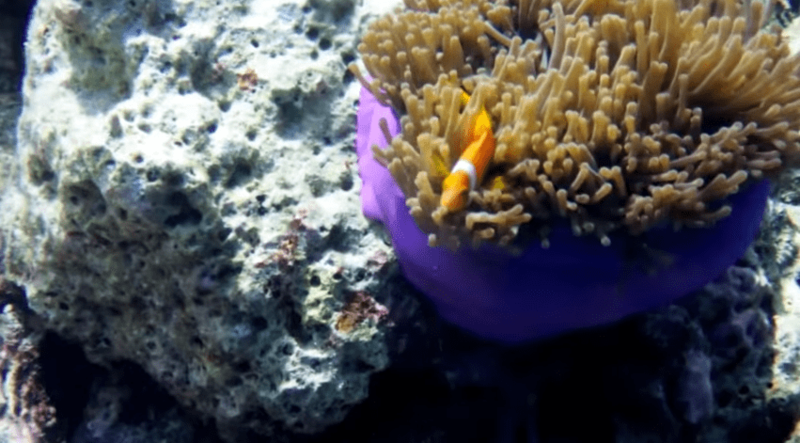 This is not a scientific research which counts every single type of coral, fish and their quantity in given area of sample. If someone does that kind of analysis it would be interesting. As for coral it may be possible to count, for swimming fish such an audit would be impossible with high accuracy. 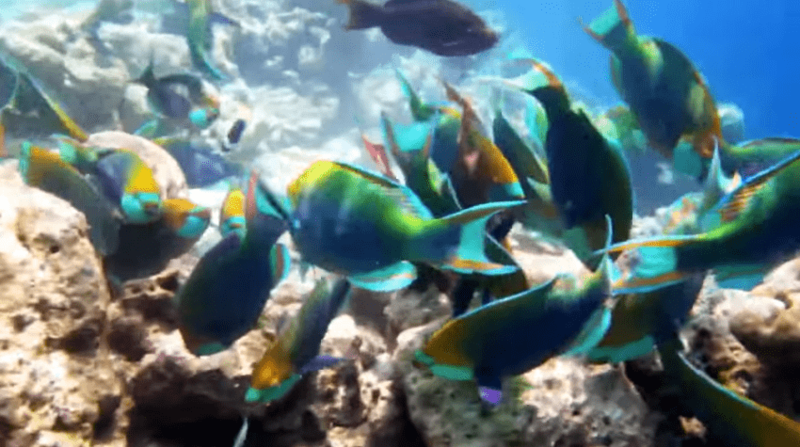 I have read articles written by others about best snorkeling resorts. I noticed some of these are based on guest polls. If you have seen only one resort and was highly impressed with it then you would probably pick that particular resort if there comes a poll. For this reason we decided not go for poll method, but emphasis on our own experience as devoted snorkelers born and bred in the Maldives. The best part of the reef to snorkel is the drop off point. It is the edge of the reef connects lagoon and the deep blue sea. Before attempting to snorkel please ensure your safety at sea. 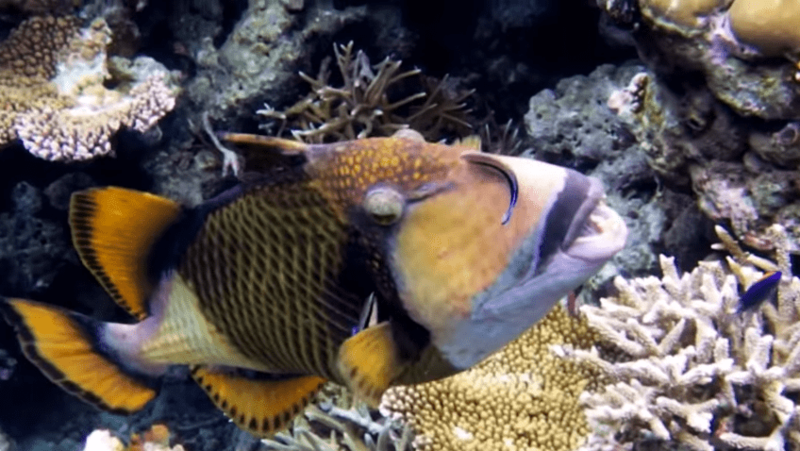 Learn the dangerous species of fish commonly found in the Maldives. • Do not snorkel alone. Always accompany a buddy. • Wear life-jacket if you are not strong swimmer. • Do not attempt to snorkel alone if you are non-swimmer. • Always check weather conditions. Rainy or windy weather means risk. • Check direction of current before doing to the deep. Stay afloat and see which direction the current takes you. Best way to enjoy snorkeling is to follow the direction of current rather than swimming against. • Check resort map, beware snorkeling prohibited areas due to strong current. • Beginners should always stay close to island if not accompanied by a guide. • Never touch anything in the water. See and take photos if you like to. This is a 75 villa five star resort in Male' Atoll. Airport transfer takes 20 minutes by speedboat. The island is small, just 230 metres in diameter. Our resort ranking indicates Baros enjoy great reputation for guest satisfaction. 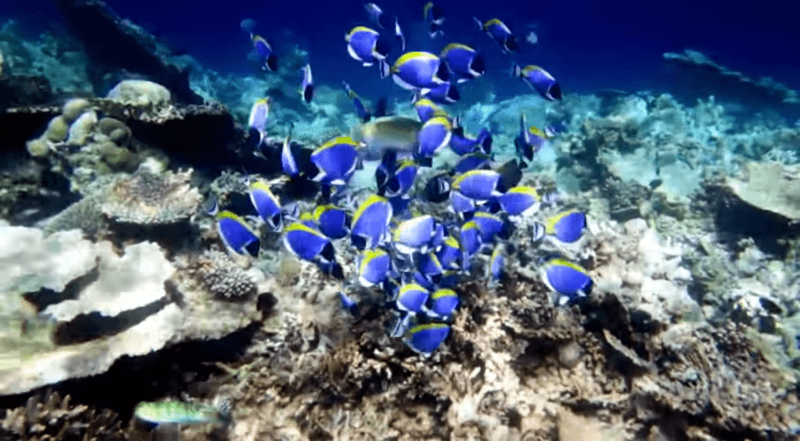 Baros house reef is humongous, it extends to 4km in total length. Other than the house reef there other isolated reefs very close to Baros. 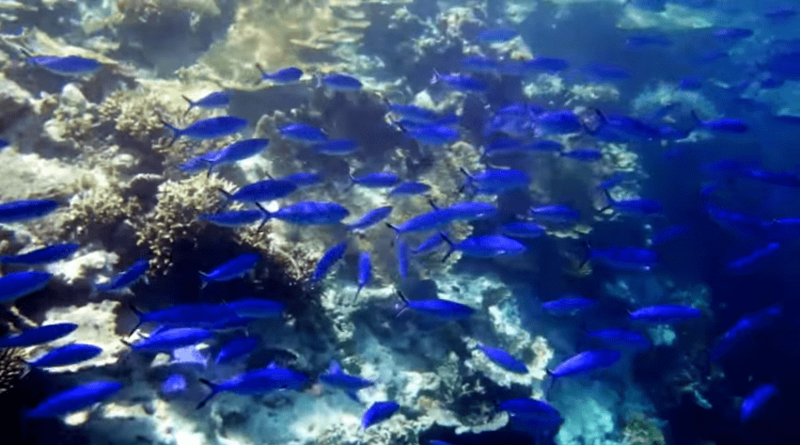 This makes Baros a rich habitat of marine biodiversity. Access to house reef is easy from the island or water villas. On the west side of the island there is a deep blue area in the lagoon next to water villas, this is the place to go if you want to see manta rays. This is like a tiny emerald jewel in the Indian Ocean. 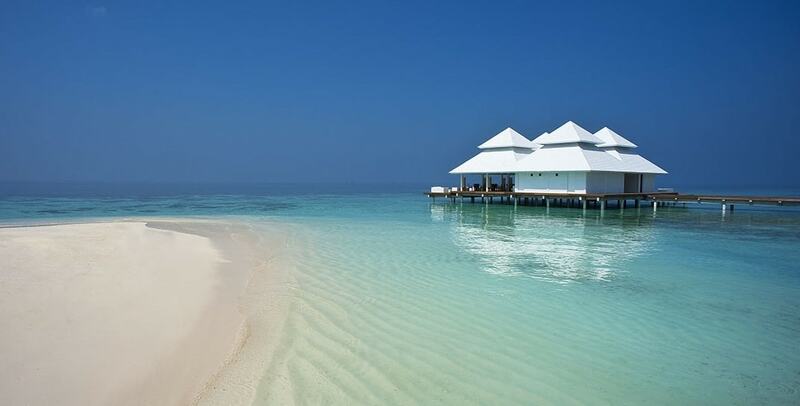 The resort has only 36 villas of which 30 are water villas and other 6 as Beach Villa. Transfer to this beautiful island takes 30 minutes by seaplane. Mirihi is one of the top ranked resorts on Maldives Finest. This is another humongous house reef that measures a total of 6km in length. 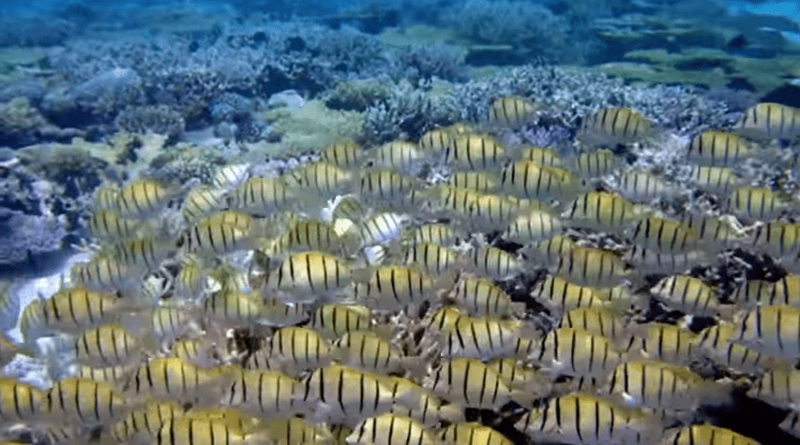 The 350m long tiny island is located on eastern tip of the reef. 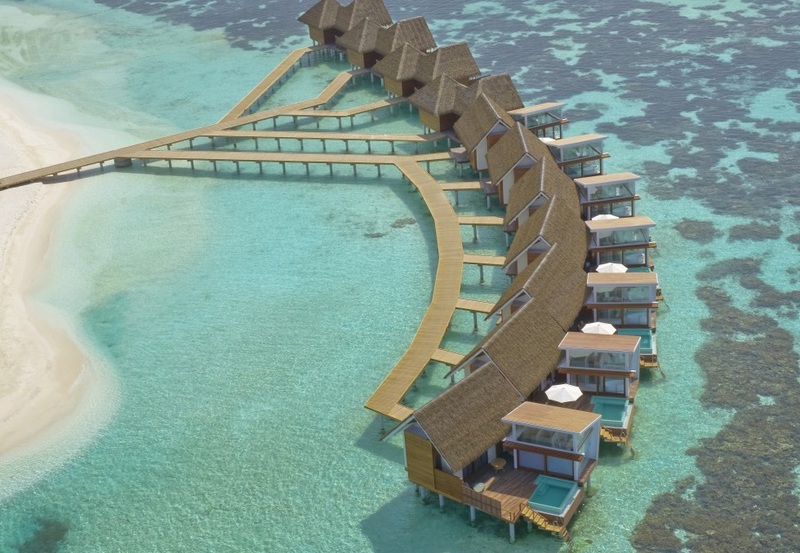 Water Villas sit on the shallow part of the ref, drop off is very close. The reef is very close from any part of the island. 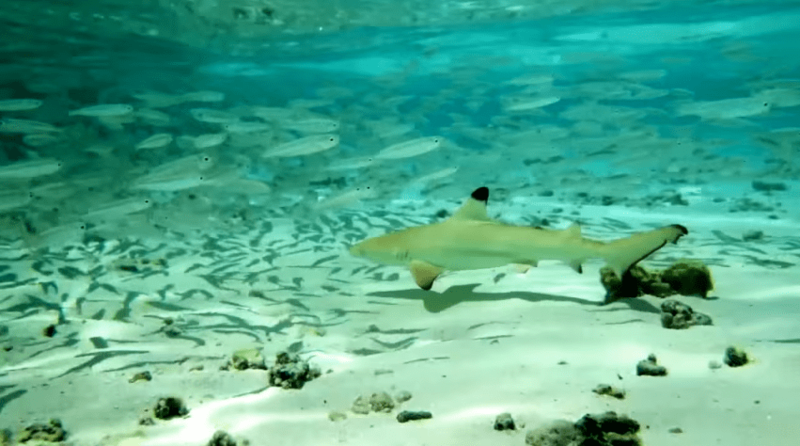 Best way to snorkel at Mirihi is to go down from main jetty, check the direction of current and follow it. Mirihi house reef is also known for seeing mantas. 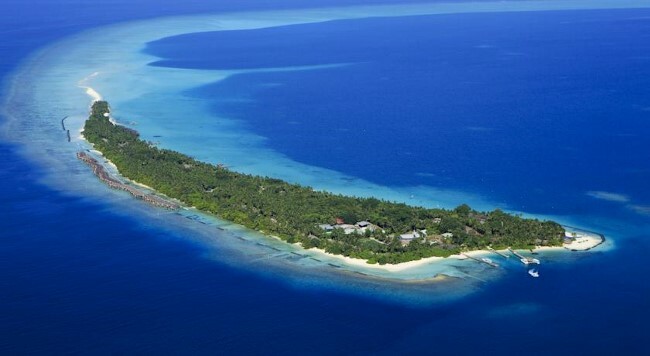 Just like Baros, Mihiri too have a deep blue area on the western side of the island, it is surrounded by house reef. There are other isolated reefs close to Mirihi. This is a five star deluxe resort in the heart of South Ari Atoll. The island measures 600m in length and 120m in width. It is a very narrow island, when you stand on the middle you can see ocean from both sides, just a few meters from you. This luxury island comes with only one meal plan: the "Platinum Plan". Unlike other all inclusive resorts at Lily Beach the Platinum Plan serves wine by bottle during dinner, it also includes premium brands of liquors and wide collection of drinks that you actually do not want to go beyond. Lily Beach is one of the best house reefs in the Maldives. The island gives easy access to reef while water villas have stairs to go down and you on the reef within minutes. The southern side of the island is much closer to reef, while north is not far as well. 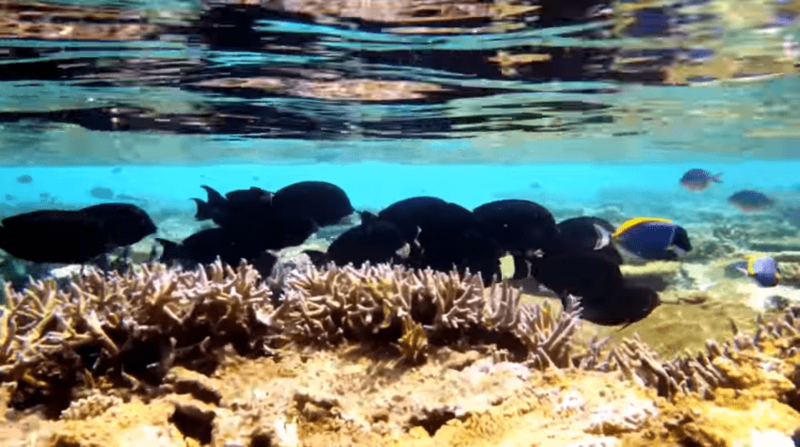 There are many small fish in the coral you could see from the jetty itself. This is the best location to go down for snorkeling. Just jump off to take the stair, check the current and follow it. Best location of the reef is near the jetty. Also at night, there is fish feeding taking place right here. You would see large stingrays, jack fish, red snapper and many more. If are not a swimmer there is a semi-submarine to explore the reef. The tiny island of Kandolhu is regarded as the best kept secret in the Indian Ocean. There are just 30 villas on the island that measures 200m by 140m. A walk around the island takes less than 5 minutes. 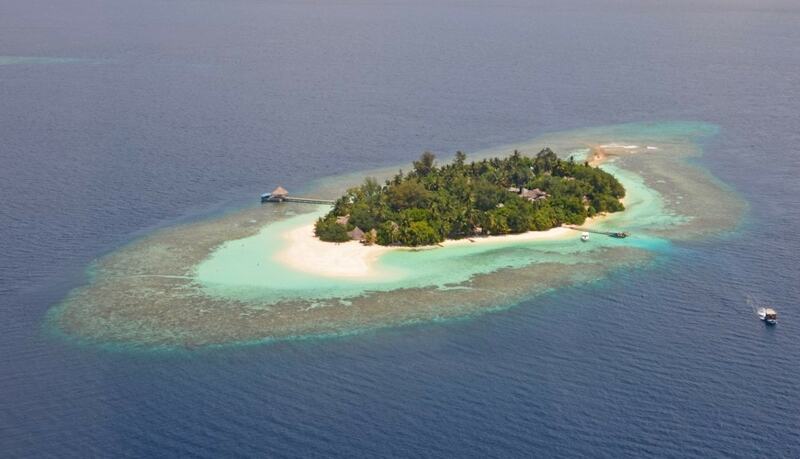 To visit Kandolhu you need to take a seaplane transfer of 20 minutes followed by a short speedboat ride. Once arrived you are one of the small group of guests enjoying a tranquil heaven. Inspired by Maldivan dhoni the villas come with roof that depicts just that. There is all inclusive plan to go and you have helpful staff willing to assist you. 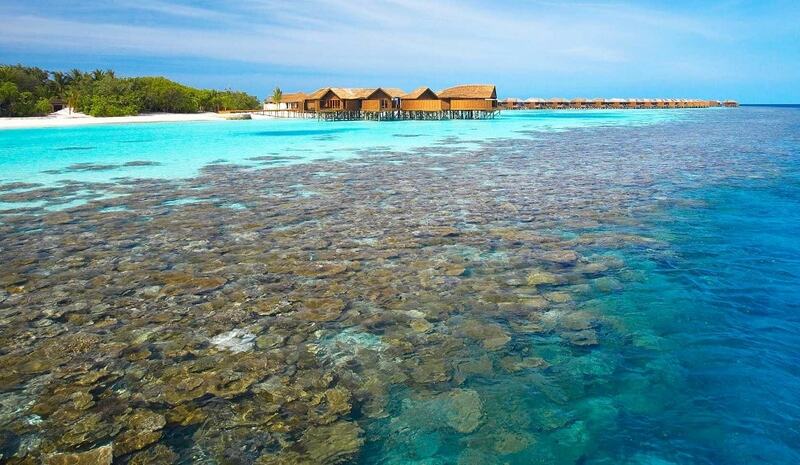 The house reef at Kandolhu is well known among the snorkeling addicts. 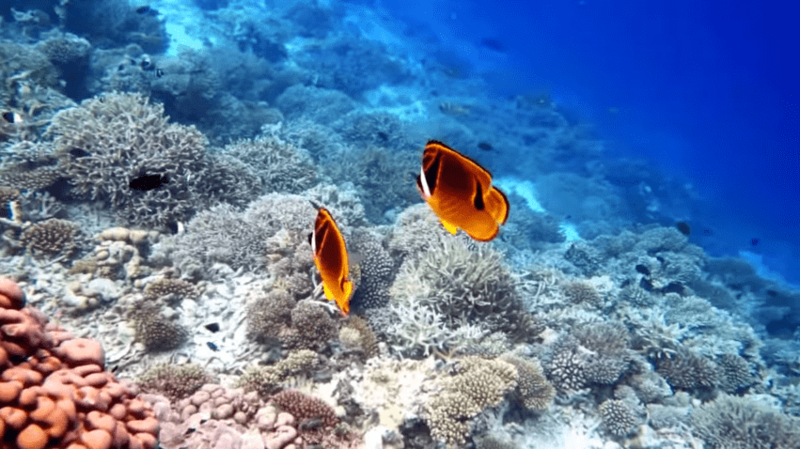 The island is circular in shape, house reef takes the same formation. 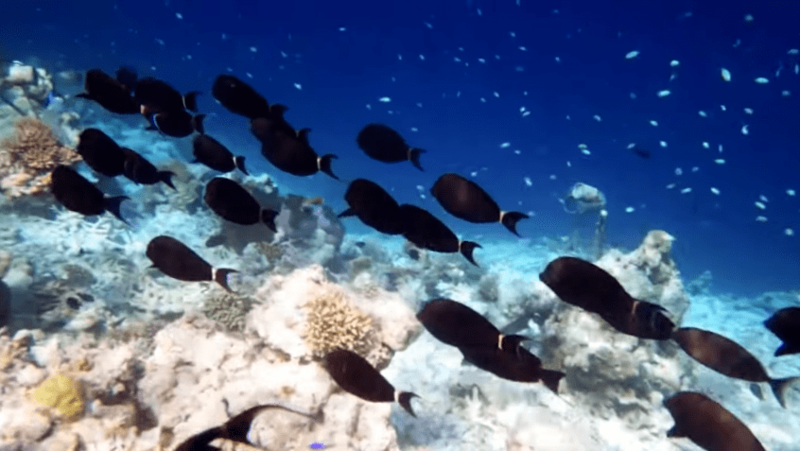 House reef is easily accessible, best place to jump off would be two of the jetties and just following the direction of current would give you a good dose of snorkeling experience. This is a small island, reef is actually twice of island size. Water is crystal clear in the lagoon. You can go down from the stairs of water villa and there would be small fish around, this is a shallow area idea of non-swimmers. At the drop off you can see turtles that are actually friendly. 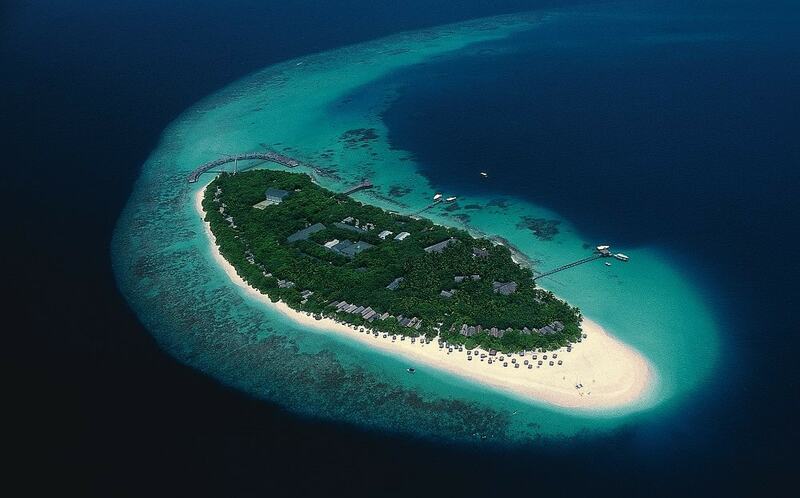 Measuring 600m in length and a width of 200m, Reethi Beach Resort is a heaven for snorkelers. The island was refurbished on 2010 and now offers enhanced facilities and more dining options. This beautiful island is located in Baa Atoll. To get there it takes 35 minutes by seaplane, or a 20 minute domestic flight to Dharavandhoo followed by a short speedboat ride to Reethi Beach. There is a nice white beach all around the island, the name itself means nice beach in local language. There are 120 rooms on the island which includes 30 over the water. The five restaurants make sure you have something you like, for drinks there are additional 5 bars. Reethi Beach is a four star resort. Eastern side of Reethi Beach is lagoon that descents in to blue sea. House reef starts south west tip of the island and runs all the way to water villas and beyond while taking turn to east. Access of island is easy as house reef stays about 30 - 100 metres of island. It is usually not too shallow, you could swim over it to reach drop off. Just kick off from beach and swim to the house reef, that is the way at Reeth Beach as arrival jetty is located on the lagoon side. A tiny spot of sand that measures just 230m in length and 110m in width located in North Ari Atoll is called Bathala Island Resort. There are 46 superior villas on this 3 star resort. To get there it takes 20 minutes by seaplane, or 75 minutes by speedboat. Everything is simple in this resort. All Inclusive plan is offered by the resort and it is heaven for divers on a budget. The island run with high occupancy throughout the year, mostly Germans. At Bathala the house reef is very close to the island, just few metres and it is shallow from the lagoon side. To access house reef the best way is to go down from arrival jetty or the supply jetty on the opposite site. you can do gown from one side and come up from other jetty. 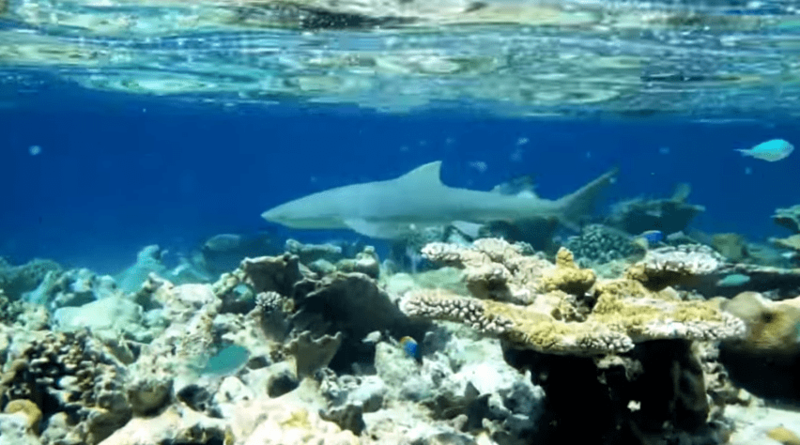 This house reef is one of the richest in North Ari Atoll. 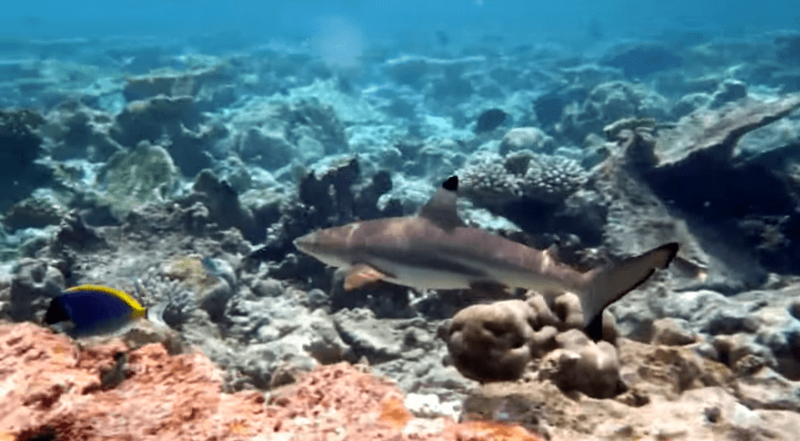 Guests from near by resorts such as Constance Halaveli, Ellaidhoo or W Maldives often visit Bathala house reef for diving. Located in the middle of Ari Atoll, Diamonds Athuruga Beach & Water Villas comprises 46 Beach Bungalows and 25 Water Villas. Getting to this four start resort takes a scenic seaplane flight of 25 minutes from Velana International Airport. The island is a tiny droplet that is semi-circular in shape. It measures 180m in length and 145m across in the middle. Despite small island size the house reef is massive, it is 4.4km long. The island is located at south eastern tip of the reef. It takes only few minutes to reach the reef. 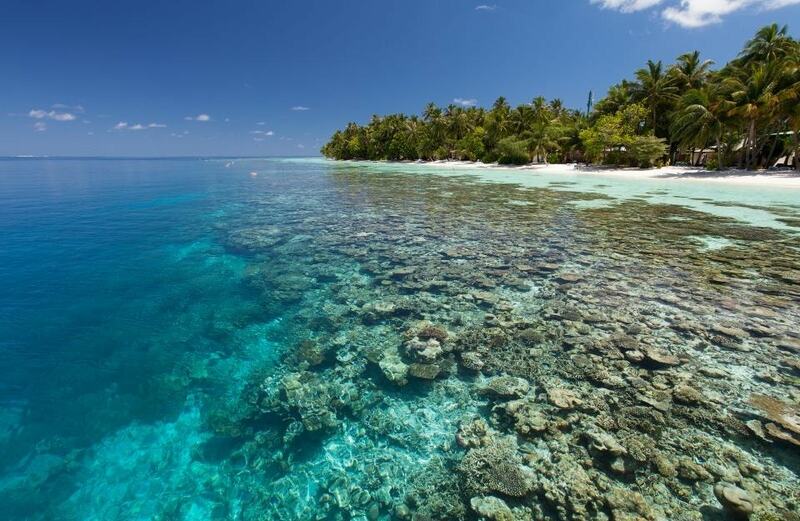 There are snorkeling channels to swim through as reef is very shallow and you would not want to swim over it. Arrival jetty is the best place to go for snorkeling, it sits right on the drop off. You can go down from this jetty and follow the current to either side and use the snorkelling channel. Swimming back to jetty may get you against the current. Inside this massive oval chaped house reef there is large blue sea. This blue area is the place mantas live. Snorkelers often see manta rays at Athuraga reef. Known for its luxury ambiance the W Maldives offers 78 individual retreats tailored with Whatever/Whenever concept. The 28 retreats on the land are known as Beach Oasis. Rest of the villas are over the lagoon and one of them is called Extreme WOW which comes with 2 bedrooms, suitable for families. There are various gourmet dining options and places chill in this fantasy playground. To get there it takes 25 minutes by seaplane. The oval shaped island measures 220m in length and slightly less across. Unlike other top house reefs W Maldives house reef is just 2km length. Diversity and richness does not always depend on the size. Water villas facing north are very close to the drop off point, other water villas face the lagoon. 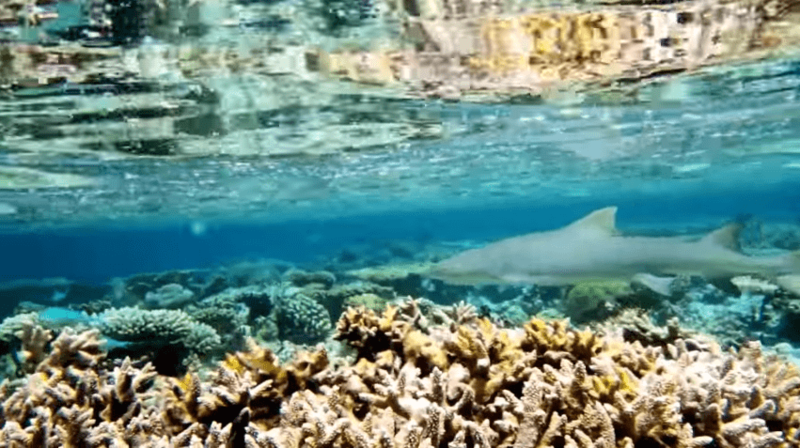 The house reef encircles the tiny island from every side. The reef is easily accessible from many location of the beach, there are some shallow areas in the reef but you can always find a deeper area near by to swim through and reach the drop off. Best location to snorkel include near FISH restaurant, and near jetty area. The sea at end of the water villa jetty is sometimes rough, stay close to the island and just enjoy in peace. 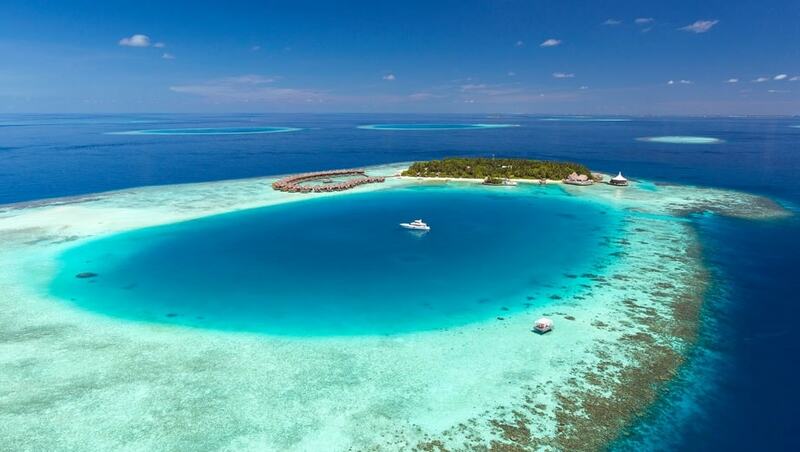 Located in South Ari Atoll, Vilamendhoo is a popular resort among divers who go with All Inclusive plan. 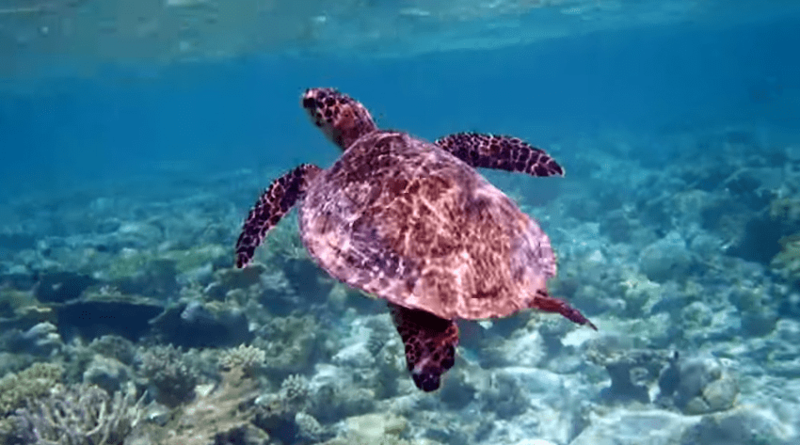 Non-divers are the snorkelers who are the beginning stage of marine life exploration. Vilamendhoo is narrow but long island in shape. The length is about 900m. This four star resort comes with 184 rooms, 2 main restaurants and several other facilities including variety of in-land activities such as tennis or valley ball. Some kids facilities are there on the island, few outlets are adult only. House reef follow shape of the island but stretches further from east and west. 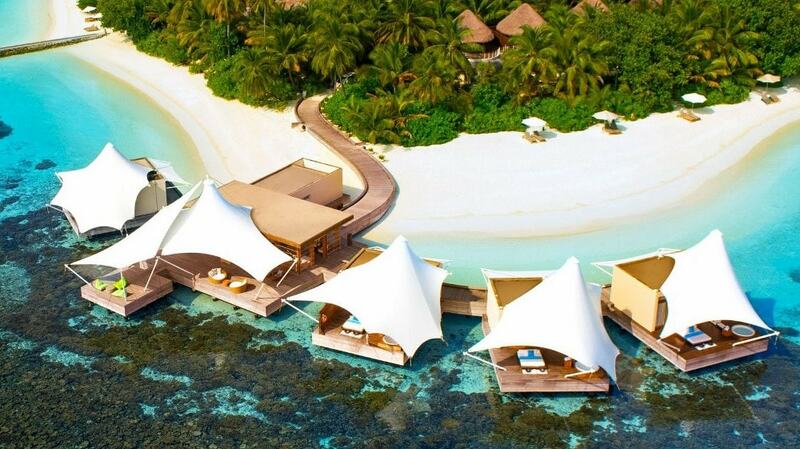 There is easy access from the island and water villas. Arrival jetty is the most popular spot among divers, but for snorkelers it is not, because it is too deep. Northern side of the island is the best for snorkeling. 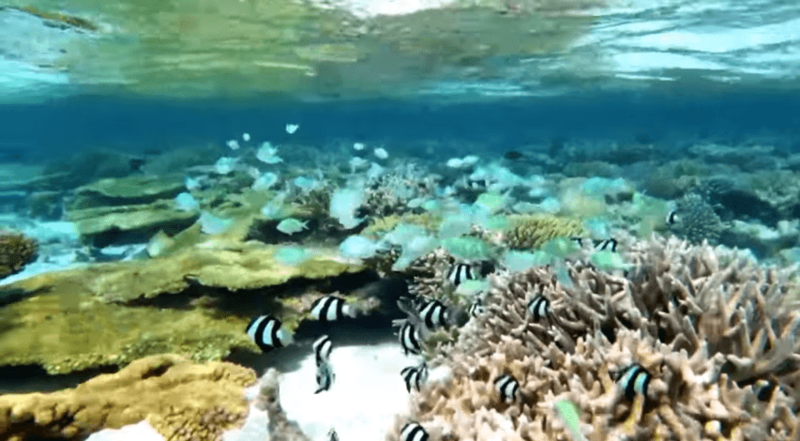 There are channels to swim through to get to the reef, because there are many shallow areas in the reef. Corals are sharp, do not take unwanted risk to getting cut by coral while attempting to go over. 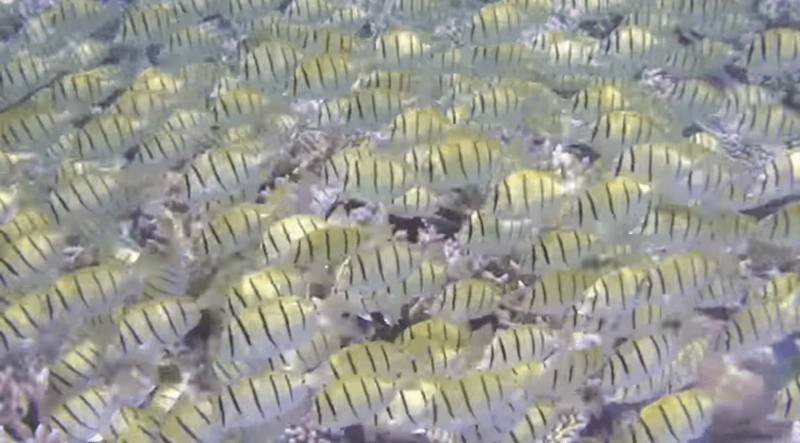 There are some snorkeling channels at southern tip of the island. Near arrival jetty there is frequent boat movement, just another reason to use other areas for snorkeling. 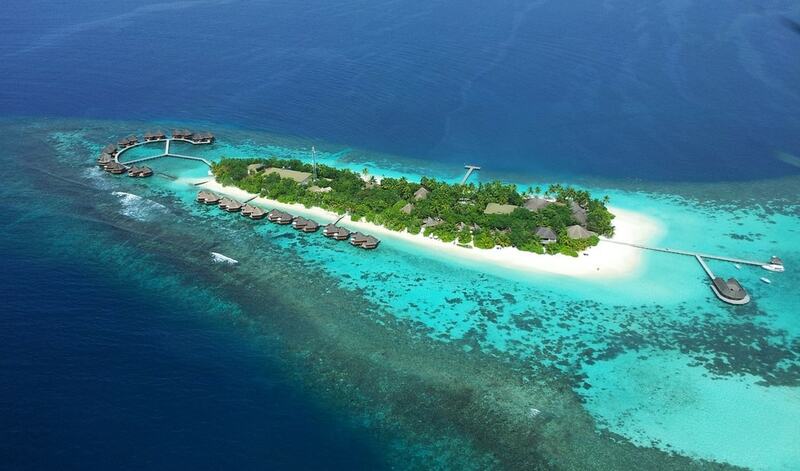 Measuring 1.7km in length Kuramathi is home to 357 rooms and several guest facilities. Kuramathi is a four star resort with a selection fine luxury villas tastefully appointed in prime locations. The island is narrow and long, at western tip of the island there is a stunning sandbank that sometimes stretches upto a kilometer. Kuramathi is regarded as dreamy heaven that is suitable for average holidaymaker and luxury seekers. Northern side of the island is lagoon and southern side has a house reef that is 3.8km long. Followed by house reef is a similar reef stretching to another 13km. 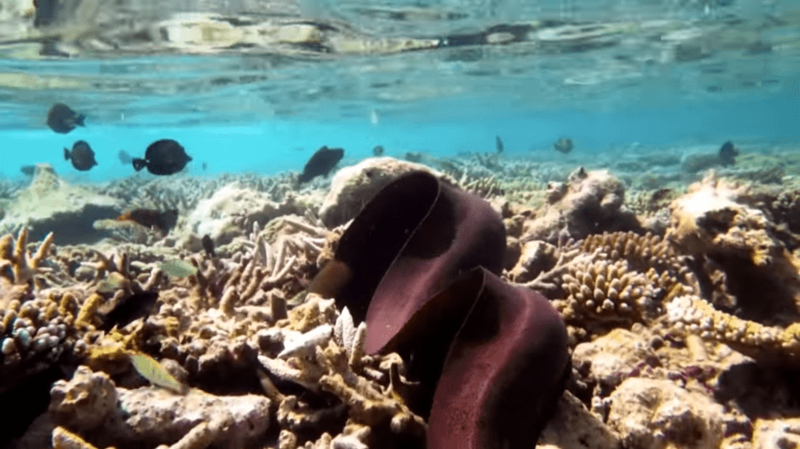 Biodiversity in this humongous reef is unimaginable. Water Villas come with stairs to go down to the water. 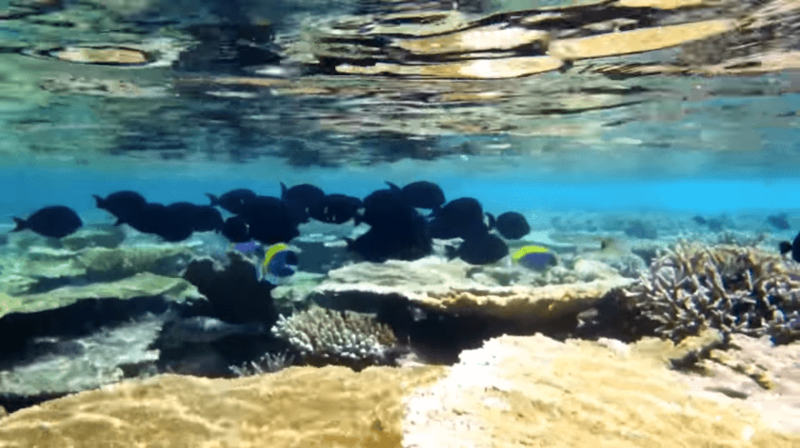 There are several snorkeling channels to get to the house reef safely. 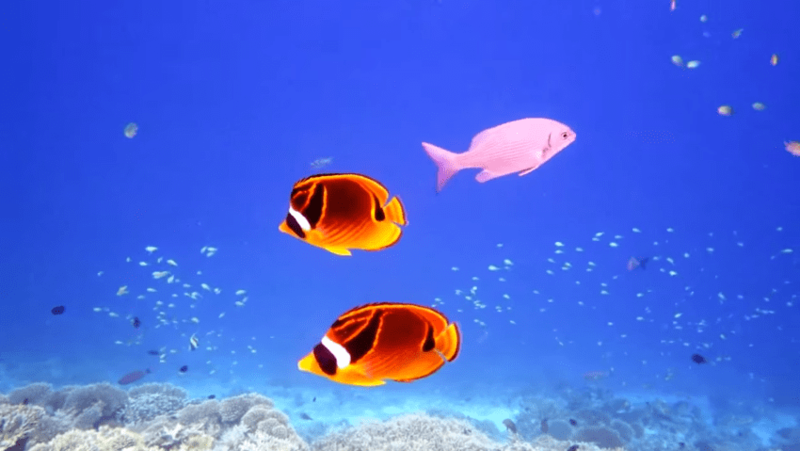 Kuramathi reef is well known for abundance of in close proximity. Do not carry any food to feed them, you don't have to do that to get them closer.